Ink About It, my "local" stamping and scrapbooking store (it's just a few towns away), is hosting a challenge for customers. 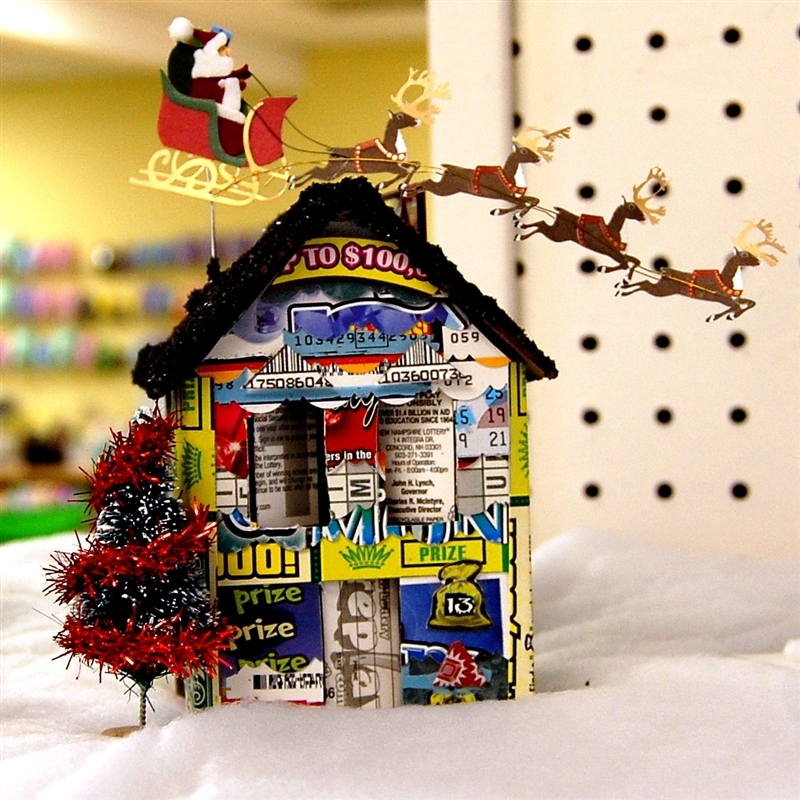 Last month, we could buy a small chipboard house for $2 to take home and decorate in any style. The houses are supposed to be returned to the store this week to go on display until Christmas. Three names will be drawn from all of those who bring in their little houses and the three people will each win a gift certificate to the store. My neighbor and I picked up our houses last month (we each got the full set of five houses for $10 since we couldn't decide which house to choose!). On Tuesday we brought them back and had a chance to see some of the others that have been turned in already. 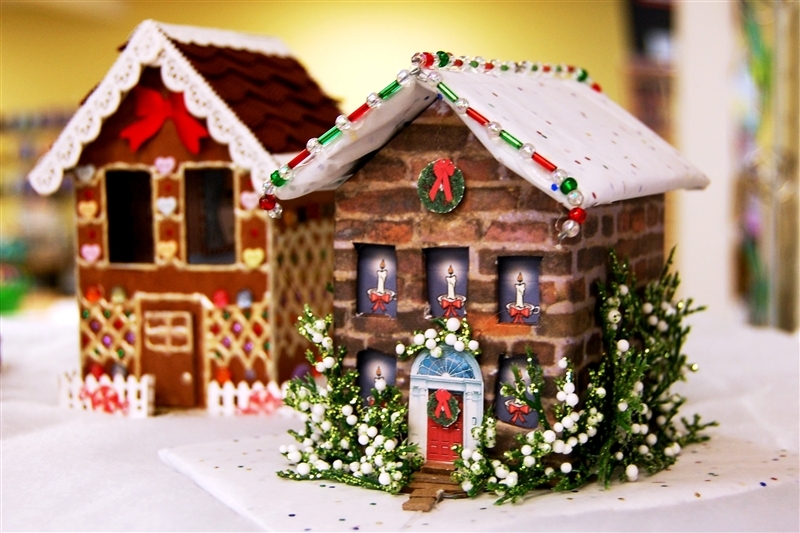 I thought the beading on the edges of the roof of the house on the right was a great idea to represent Christmas lights. 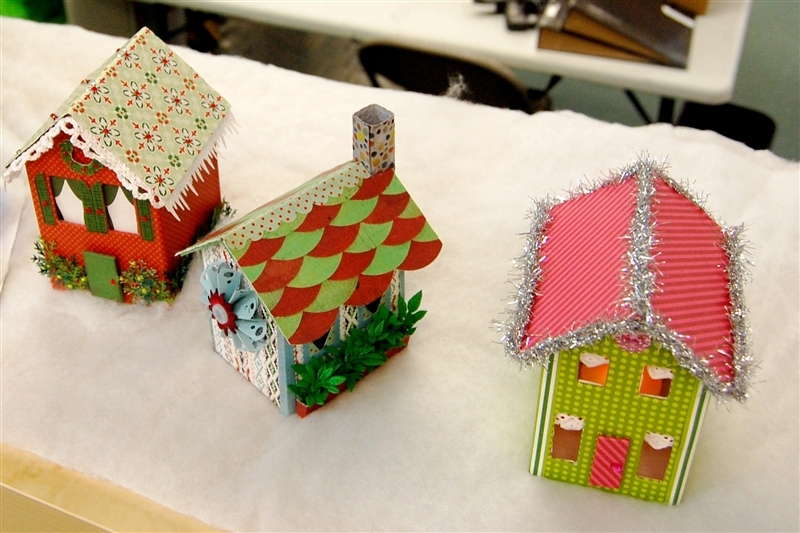 Mine is the pink and green house on the right - I had to keep it very simple since I didn't have much time to get it done. 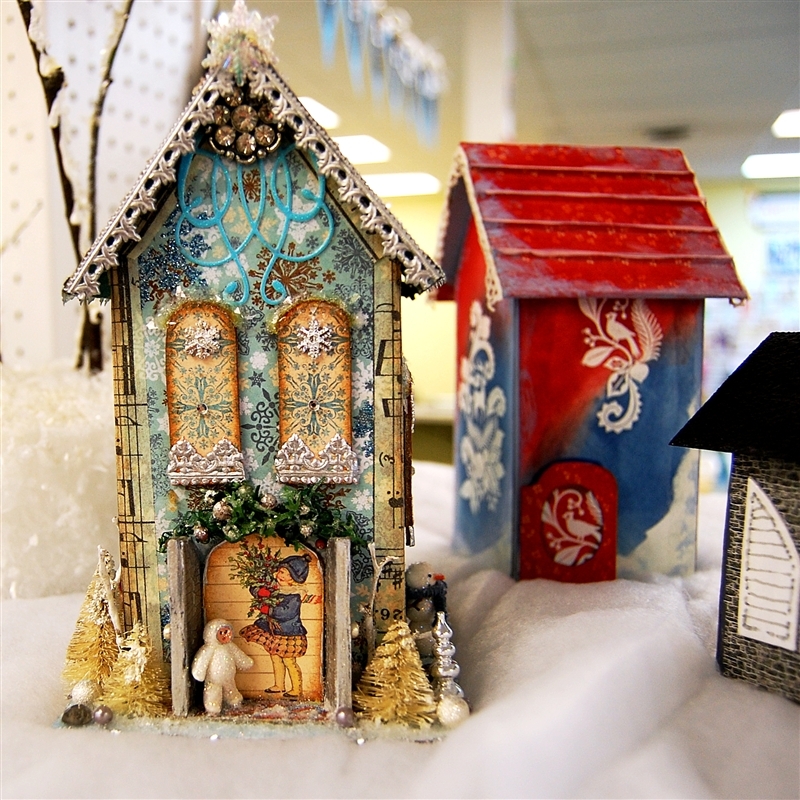 There are tiny lace curtains in the windows and tinsel on the roof lines. I like the roof on the center house with the overlapping circles for tiles. This is my neighbor's house - she crocheted the little strip of lace along the front gable. 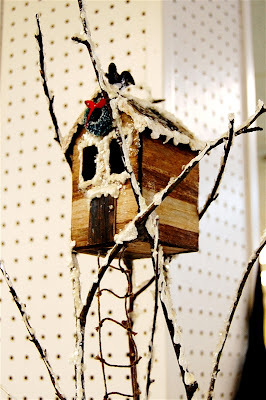 The Martha Stewart branch punch makes a great hedge with some Stickle accents. 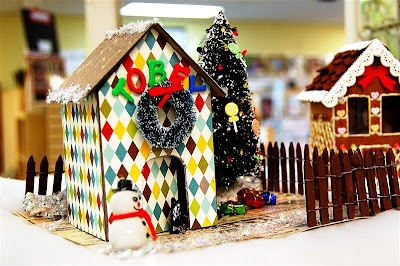 This little cottage was quite elaborate with a small picket fence, snowman and trees. I love the little stone chimney that was added to this house. The houses are sitting on top of some of the store display cases. The tiny sled and bicycle beside the house on the left are very cute! There are also some tiny figures inside that you can see through the open window. 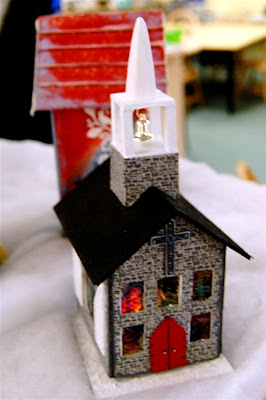 Several people added steeples to turn their little building into a church. 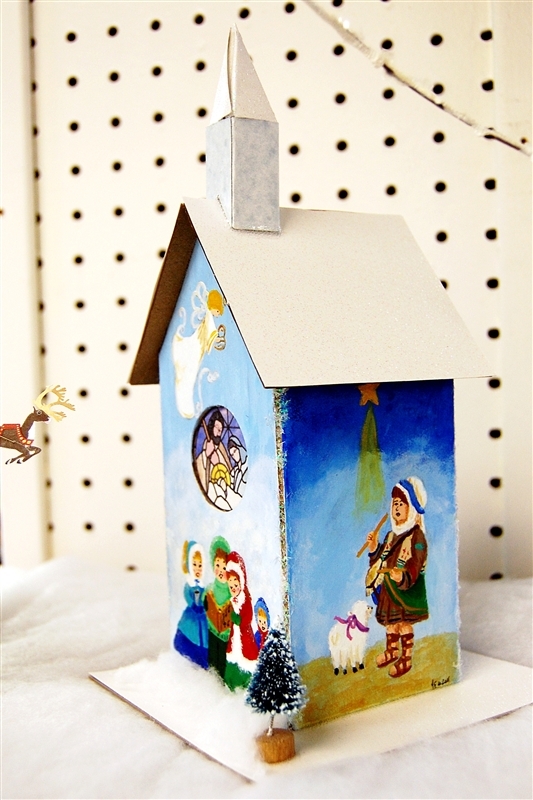 This one is hand painted with some lovely scenes. This little church has a bell in the steeple and lovely stained glass windows made with embossing and alcohol ink on clear acetate or packaging. 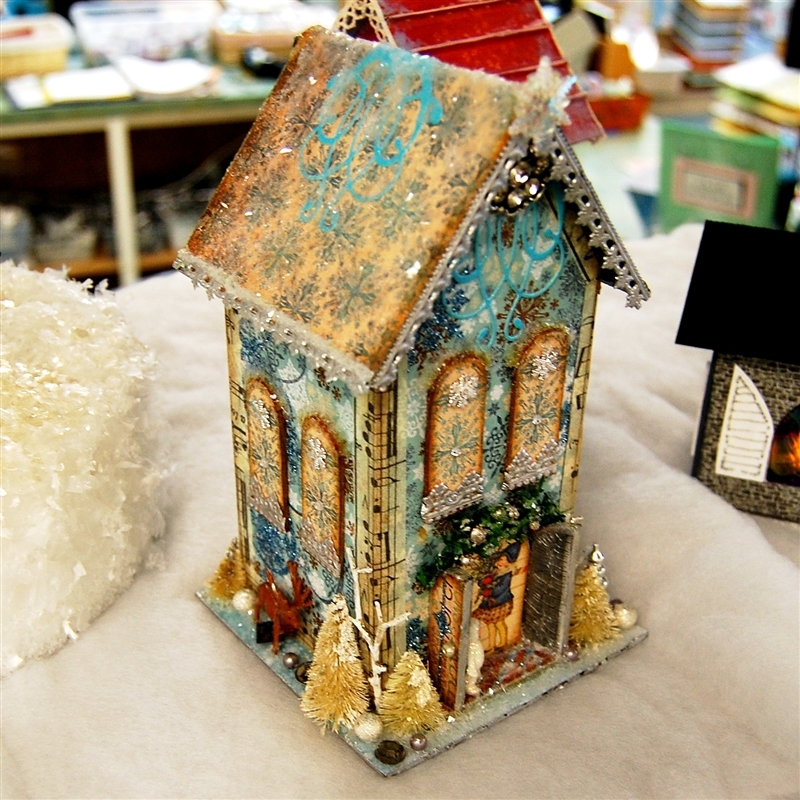 Here is another view of the sparkly blue and beige house. There are even some tiny figures along the side. This house is covered with lottery tickets. 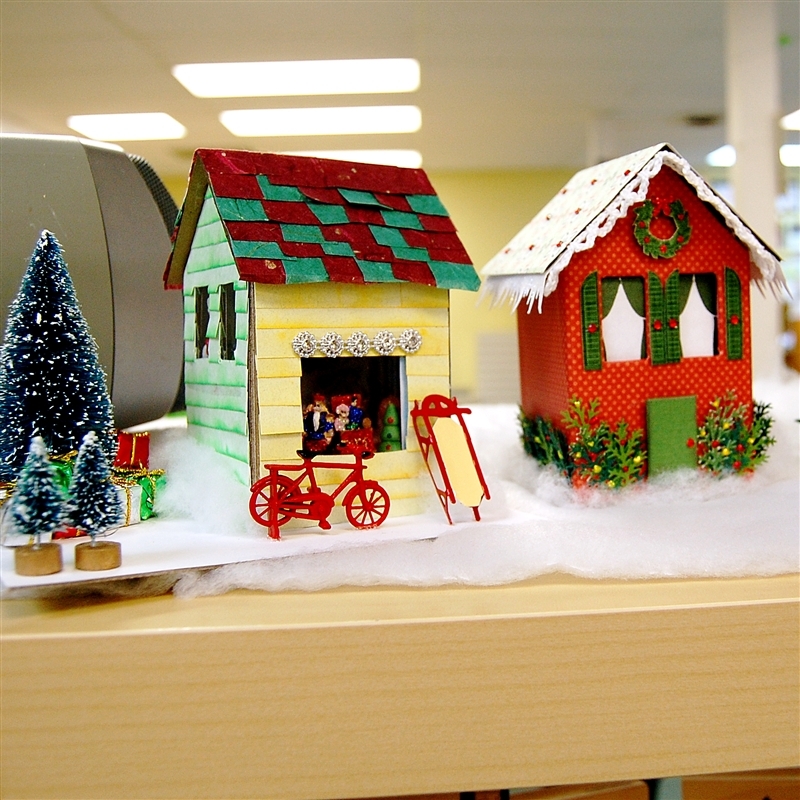 The Santa and sleigh are just the right scale for the house. The house on the left is painted and then stamped with white heat embossing - very pretty. You can't see it here, but there is a photo inside that you can see through the circle cut out. The gingerbread house on the left was painted and then the lines were drawn with white pearl pen. The color from the paint changed the white to a pretty shade for a more "antiqued" look. 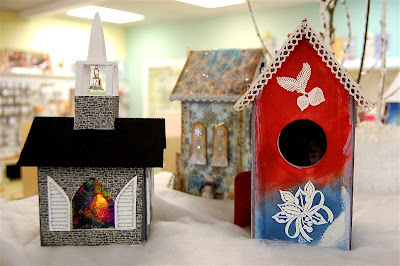 The houses look very cute in a cloud of white batting to represent snow. We are having very unusual weather with temperatures in the high 50's in December! 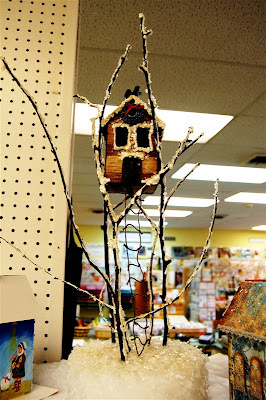 I think this was the most unusual and so very clever - the house is set in a cluster of branches to make it a tree house! The branches are stuck into a sparkly "snow" covered base. The outside is covered in wood grain for a very natural looking house. 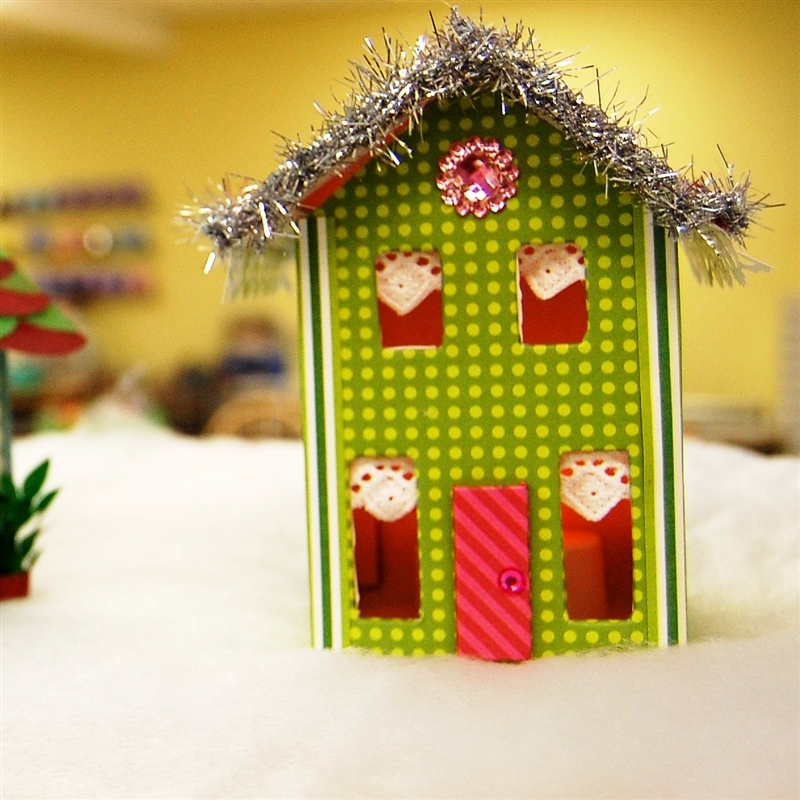 If you have the Winter Woodland Cricut cartridge there are some 3D houses that you can cut and assemble. 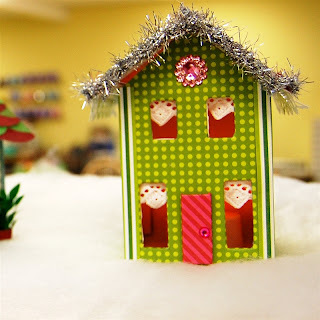 These were chipboard and a little tricky to cover perfectly. I hope to have a chance to decorate a few more of my houses - and I may bring a few extra bits amd pieces up to the shop for the sides of my house. If you are a Design Studio user - good news! The update for the newest cartridges is finally available. Just CLICK HERE to go to the page on the Cricut.com site where you can download the content update. 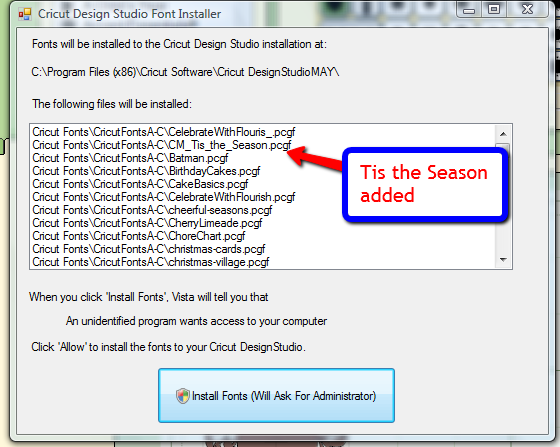 You need to be logged in to the Cricut site to get the download. You will see the October and November cartridges listed. Just click the download button and be sure to SAVE the file to your computer. Then run the update. 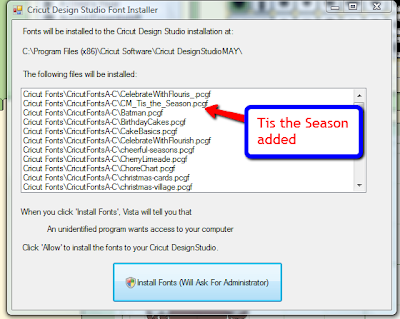 You can see that the list shows 'Tis the Season - I am happy to have this available to use in Design Studio now. 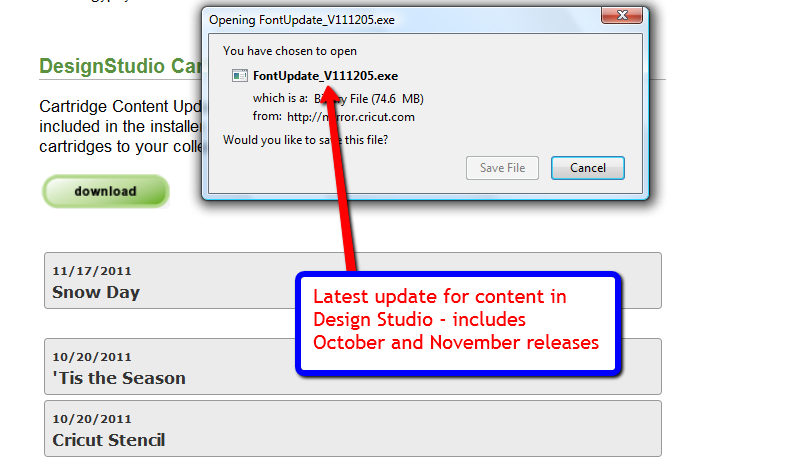 If you already have Design Studio open, you will need to close it and reopen the program to see the new cartridges. I am curious to know how many of you are using Design Studio these days. 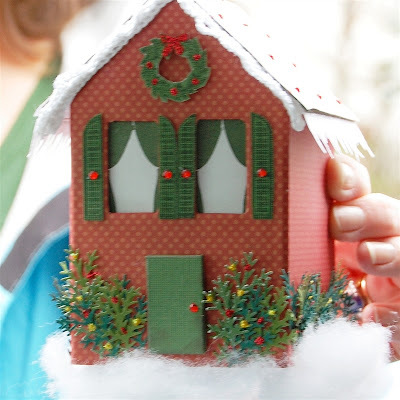 Have you tried the Cricut Craftroom? Do you use a Gypsy? Have you moved on to other machines and programs that allow you to design your own images? 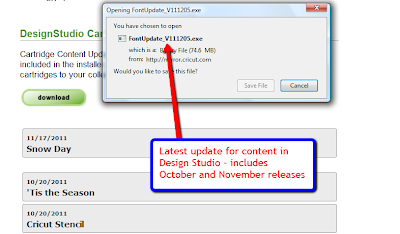 I was always a great fan of Design Studio and I wish that it would have been updated as promised. I have used the Craftroom but find that it still doesn't allow me to do some of the things I want to do. My favorite software right now is the Silhouette Studio for both the print and cut and the ability to quickly and easily make shadows and layers of my own designs. Of course, you need a Silhouette machine to cut these designs. It's nice to know that there are so many choices available. 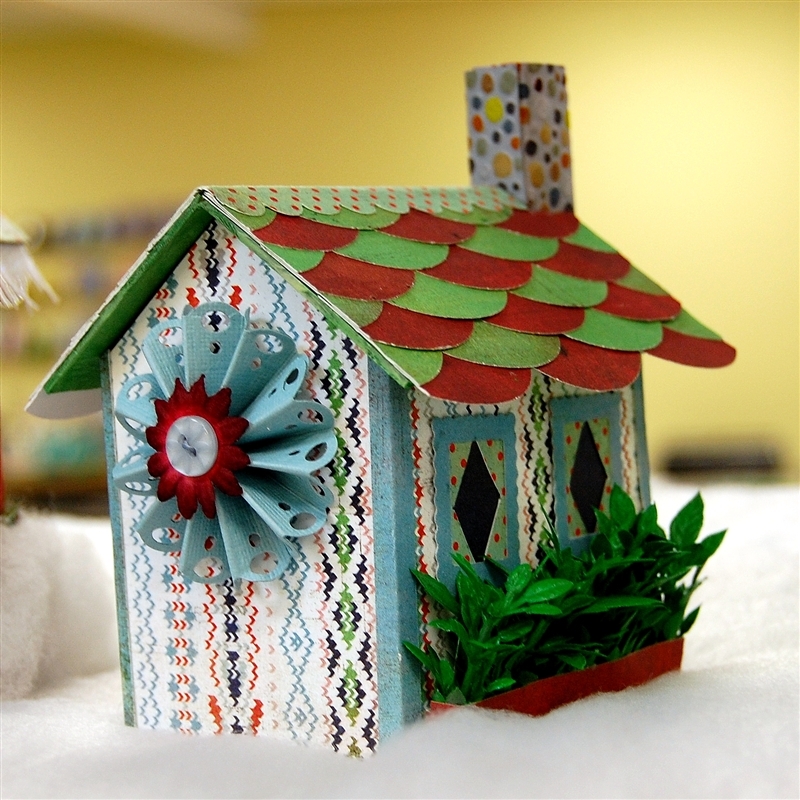 I hope you have a wonderful crafty day! I use DS all the time. I just got a gypsy which is nice when I'm not atthe computer. But in all honesty, I'm scared to add cartridges to my gypsy and CCR in case I decide to get rid of older carts that I rarely use. The are then rendered useless to anyone but myself. And now I'm afraid to cut with CCR because I use SCAL to cut my TrueType Fonts. And SCAL will no longer work off I upgrade the furmware. I use DS all the time. My husband was using that computer one day & I thought I would have to wait to make the cuts I wanted. Then I thought " Silly me - these are simple cuts, you don't need the DS." I use the Gypsy once in a while - the screen is kinda small. It did come in handy when working on wedding stuff for a friend's neice. We had 1 cartridge with the image she wanted so we created it in DS & the Gypsy. With 2 Cricuts going it took half the time for the cuts. Love the houses you showed. Such detail!! I use my Gypsy for most things I cut unless I'm using SCAL. Hardly ever use DS or CCR, just prefer my Gypsy. I would be interested in another cutter, but I feel I have so much invested in my Cricut. I always use DS. In fact, I'm not sure I remember how to use Cricut without it! Gypsy's screen is too small to be of any use with my eyesight. I looked over the CCR but since I'm so used to DS I didn't bother with it. 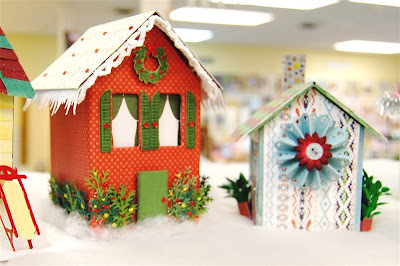 Thanks for sharing the little houses - very cute! I use my Gypsy all the time. I have DS too, but haven't used it in a while and I might actually have to load it on to my new computer still. I tried CCR but haven't given it a fair shot yet. I still use DS all the time - as someone else posted - it's very tricky for me to remember how to cut without it. I have a gypsy, but the screen is too tiny. I was beta testing the CCR, but I really like DS and prefer to use it. I wish they would make it more compatible with 64 bit machines - I have to run it in XP-Compatibility mode just to make it work. I know CCR is new and cool - but I don't like to have to be online to use it. And I don't want to have to link my cartridges. I also use the DS most of the time. The Gypsy has some great features but the screen is so small. I feel I have more control and ease using DS. Haven't tried the CCR. Yay! I have been waiting for this news. I need to add my Tis the Season ;) I use DS all the time, especially with my Baby Bug which I've had to use for the last month while my Expression was being replaced. I haven't had the time to actually study the ins and outs of CCR so would prefer to just stick with DS if they keep it updated. I don't use DS much anymore and haven't tried CCR (really don't think I will). I'm pretty happy with the gypsy. I have thought about the Silhouette but don't want to invest right now. 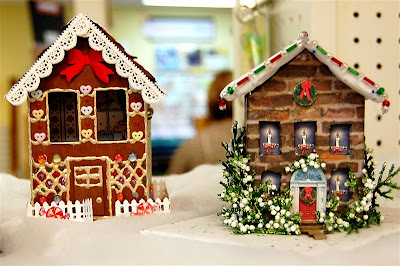 Thank you for sharing these lovely houses. The pictures are so fun to look at. The detailing you guys did is fantastic. On a side note, my Mom loves her notecards that you helped me with (name Lucie). Thanks again! 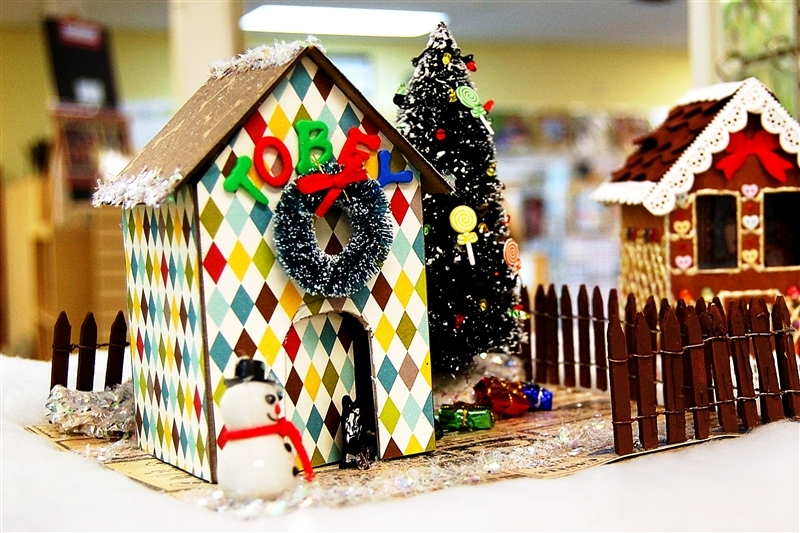 Thanks for sharing the cute houses. I am still mainly using my gypsy for designing since I like to get a break from my lsptop at times. I had an inspiration the other night and decided to give CCR another try but when I went online, it was unavailable. It was very frustrating and one of the issues I was leary of. I really don't like having to depend upon an internet connection so I don't think this will become my go-to design tool.